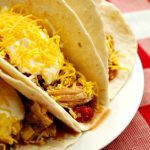 The easiest Crock-Pot Chicken Fajitas recipe ever! Cooking your chicken in the slow cooker is perfect for busy weeknight when you don’t have a lot of time to fuss with dinner. Serve the fajitas with Mexican rice and beans for a delicious dinner that the whole family will love! After I was done preparing a batch of slow cooker freezer meals, I was left with three chicken breasts that I needed to use up. Now three chicken breasts is not enough to serve my larger family when eaten whole but I knew I could come up with a tasty recipe that would use them up as part of a larger meal. So, I decided to make some shredded chicken fajitas to use those breasts up and the recipe came out SO good. My children are not into super spicy food, so I keep the peppers to a minimum. But the great thing with this recipe is that it is easy to add or subtract ingredients to suit your what YOUR family will eat. I used my 5 quart slow cooker, but this recipe should work in a slow cooker that is a little bit smaller or larger too. I served the fajitas with a side of Mexican rice and refried beans and had plenty of toppings for everyone to add to their fajitas like sour cream, guacamole, lettuce, diced tomatoes, salsa, etc. Boneless skinless chicken breasts, black beans, peppers and a great mix of spices and seasonings are slow cooked for several hours. 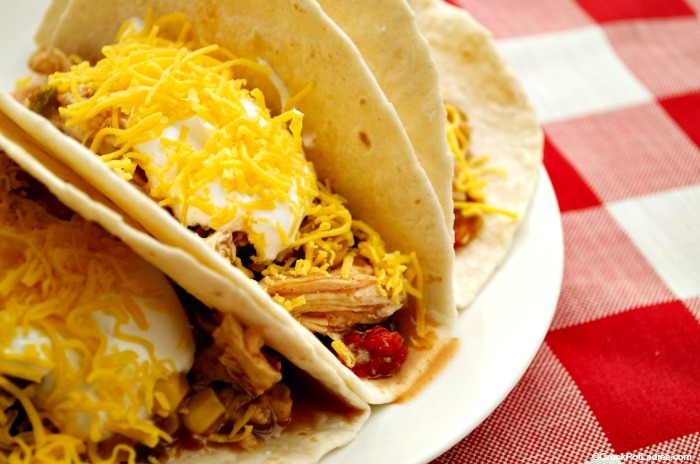 The chicken is shredded and then you are ready to make fajitas topped with your favorite toppings! Place chicken breasts in the bottom of a 4, 5 or 6 quart slow cooker. Add the remaining ingredients (except for the tortillas and toppings) to the slow cooker and toss to combine. Remove chicken from slow cooker and shred meat with two forks. Add shredded chicken back into the slow cooker with the remaining ingredients. 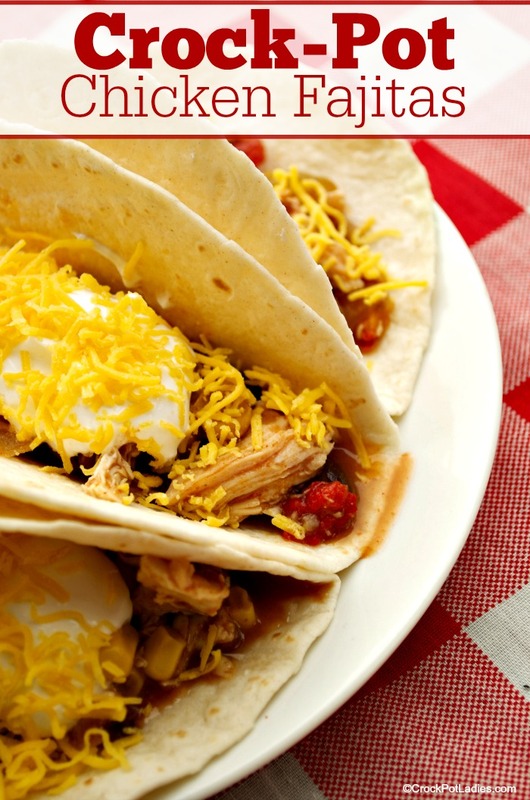 Serve shredded chicken mixture in flour tortillas and top with your favorite toppings. Weight Watchers points caluculated using fat free flour tortillas and just the chicken mixture from the slow cooker and does not include any cheese or other toppings you may decide to use. sure would like to live in Kansas–what part are you from?